An inquiry into electric vehicles has been launched by the Business, Energy and Industrial Strategy (BEIS) Committee. 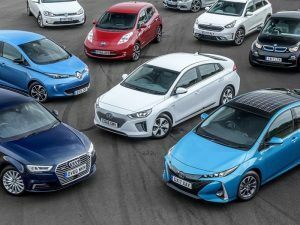 The committee, chaired by Labour MP, Rachel Reeves, aims to build on the work of the “Electric Vehicles: Developing the Market inquiry” that was interrupted by the General Election in June. The new inquiry will look at the added pressures that electric vehicles will create for the electricity grid and existing energy infrastructure. The launch of the inquiry comes at the same time as the chair of Chinese carmaker BYD said that he expects all vehicles in China to be electrified (including both fully electric and hybrid) by 2030, according to a report by Reuters. The inquiry will look at industry calls for a national charge infrastructure strategy and whether electric vehicles represent a significant opportunity for post-Brexit manufacturing and decarbonisation. Commenting on the report, Matthew Trevaskis, head of electric vehicles at the Renewable Energy Association said: “Electric vehicles represent a massive industrial opportunity for the UK post-Brexit and there are a range of countries vying to become industrial leaders in this sector. “We are going through a global transportation transformation but a domestic market for EVs is critical if the UK is to secure a large share of new manufacturing capacity in the coming years. Therefore a strategic network of charge infrastructure is essential to making these vehicles the logical choice for individuals and businesses looking to buy their next car.